EGI's Research eNewsletter June 2011: bringing you the latest product and event information. 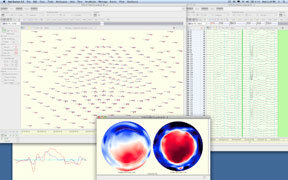 Electrical Geodesics, Inc. (EGI) is pleased to announce the release of Net Station 4.5. This latest release of EGI’s acquisition, review, and analysis software for clinical and research EEG applications contains several new enhancements, including a new file format, optimized filters, and new tools for simultaneous EEG-fMRI recordings. The introduction of 4.5 also marks the official launch of EGI’s expanded Interoperability Standards Program (ISP) for third-party commercial and open source software. Central to Net Station 4.5 is the introduction of EGI’s new Metafile Format (MFF), which is supported for acquisition, the waveform viewer, waveform tools, GeoSource, and the Geodesic Photogrammetry System (GPS). EGI’s magnetic resonance imaging (MRI) compatible EEG system is the first practical whole head EEG product that works within the MR environment. 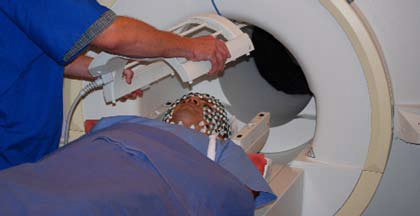 By taking EGI’s low profile, high-density EEG into the MRI scanner, you can improve the precision of electrical neuroimaging techniques applied to the EEG data. A number of EGI's 256-channel GES 300 MR systems have been installed worldwide. The new Net Station 4.5 software install for MR environments includes features for working with MRI. Specifically, several algorithms are included to remove BCG artifacts from simultaneously recorded EEG/fMRI data: an OBS (Optimal Basis Set), Average Template Subtraction tool, and a QRS complex detection tool. EGI, Psychology Software Tools (PST), and Smart Eye are pleased to announce a fully integrated solution for simultaneous EEG/ERP and eye tracking recording. E-Prime® extensions for Smart Eye™ package brings together three software systems: PST’s E-Prime for ERP experiments, Smart Eye’s software for eye tracking, and EGI’s Net Station software for EEG/ERP acquisition, review, and analysis. E-Prime Extensions for Smart Eye (EESE) provides real-time communication between E-Prime 2.0 Professional stimulus presentation software and Smart Eye Pro 5.6 and above (latest release is 5.7). 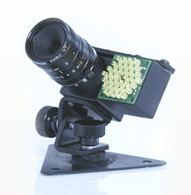 EESE allows users to control the delivery of stimuli based upon a subject's gaze. For example, researchers are able to pause an experiment until the subject is properly fixated on a particular region of interest. Additionally, EESE offers a number of exciting visualization as well as statistic extraction features in an easy-to-use environment. In essence, E-Prime Extensions for Smart Eye is a perfect tool to help design and evaluate psychological experiments. Transcranial magnetic stimulation (TMS) is a noninvasive methodology that allows researchers to temporarily stimulate or inhibit specific areas of the brain. While TMS is commonly used by itself to study basic motor function, it can also be combined with EEG to investigate cortical functionality and connectivity. Over the past few years, EGI has worked with several research groups to test this type of multidisciplinary approach. We summarize here some preliminary experiments combining TMS and EEG using EGI’s Geodesic HydroCell Geodesic Sensor Net (HCGSN) product , either unmodified, or using custom low profile snaps. EGI’s engineering team has designed special low profile snaps that allow TMS researchers to place the coil close to the scalp. The snaps take the place of the actual electrodes and pedestals and are therefore able to preserve the elastomer structure of the HydroCel Geodesic Sensor Net (HCGSN), thereby ensuring the normal whole head coverage of the net. The snaps are 1 mm in height, as opposed to the normal 1 cm height of the pedestal, and are therefore able to allow for more focal delivery of the pulse. Using this modified net, Gilbert Preston’s lab of the University of Utah used a 10 Hz repetitive TMS (rTMS) design to study psychomotor processing speed (Anderson, Preston, and Silva, 2007). Another option for conducting combined TMS-EEG, which does not require any modification of the HCGSN, is to increase the intensity of the stimulation. Read the full article to learn more about using EGI's HCGSN for TMS. EGI is pleased to announce its participation in the 17th Annual Meeting of the Organization on Human Brain Mapping in Quebec City, Canada with a free workshop discussing the use of dense array EEG in source localization. A buffet lunch will be available for registered attendees. Online registration is now open. Online registration is now open. For additional information, email Workshops. EGI is honored to sponsor an upcoming symposium featuring prominent neurologists who specialize in EEG and epilepsy. Please join us this August at the 29th International Epilepsy Congress in Rome, Italy. The symposium focuses on advanced EEG for presurgical planning and will be held on Wednesday, August 31, 2011, 7:30 am-9:00 am in Hall Five of the Marriott Rome Park Hotel. A light buffet breakfast will be served. This symposium, chaired by Dr. Paolo Manganotti (University of Verona, Italy), will explore recent efforts to apply advanced EEG methods, such as noninvasive EEG source estimation, to improve the presurgical planning process. The focus of the session will be practical in nature, focusing on clinical experience with advanced EEG methods, rather than on theoretical concepts. All talks will focus on experience with epileptic patients. 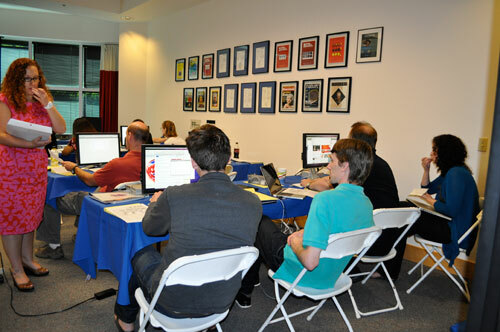 It’s time to register for EGI’s very popular Summer School, where you will gain well-rounded core EEG skills, and learn how to apply the latest analytical techniques. Held near EGI’s headquarters in Eugene, Oregon, the curriculum focuses on learning EEG skills in an interactive, hands-on environment directly from experienced scientists and support engineers on our staff. This year, we have a new curriculum: two courses that can be taken together or separately, depending on your needs. Both courses incorporate theoretical material as well as plenty of hands-on learning. This is a hands-on course, designed to prepare students to be confident researchers in the field of dense array EEG (dEEG). It is perfect for all newcomers to EEG research, whether you are a new graduate student or a professor ready to implement a new technique to answer your research questions. Throughout the five-day course, students will develop a strong theoretical, scientific, and practical understanding of dEEG. This advanced course is designed to help researchers already confident with the basics of dEEG acquisition and analysis move towards more advanced techniques. You will learn the theory of advanced techniques as well as how to apply the techniques to everyday research scenarios. 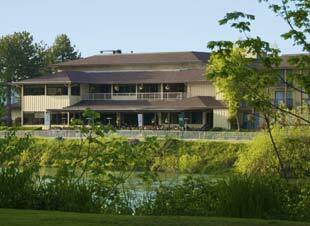 Both courses will be held at the Valley River Inn in Eugene, Oregon. This hotel and conference center is located along the quiet banks of the Willamette River, and will provide us with a beautiful location for the courses. We have negotiated special student rates for you, so that you can also stay at the Inn and enjoy their 24-hour recreational facilities around classes! "Although Eugene Summer School provides students with a unique opportunity to meet the scientists and developers behind our products, I am so pleased that we are able to travel around the world to meet our customers in these international schools. In addition to giving us the opportunity to let everyone know how to get the most out of our Net Station software, I am under no illusion that the most important aspect of the school is the networking that goes on around the classes. It is fantastic to see people forging relationships that will help them on a day-to-day basis and progress in their own careers". We will announce open registration for these courses on our International School page. Continuing customer success in publishing using dense array EEG is evident with over 45 publications in the first quarter of 2011. These publications cover a wide range of advances in neuroscience and medicine, including research on autism spectrum disorder, traumatic brain injury, speech processing, language, sleep, depression, anxiety, stress, memory, and brain computer interface. You may access this Q1 2011 Customer Publication listing here. Or, for a complete listing of EGI customer publications, you may navigate to the link above and download the PDF file available. We are delighted to announce the hire of Dritan Nikolla, who will be based in London to provide support for our customers in Europe, as well as handling sales for customers in the UK. 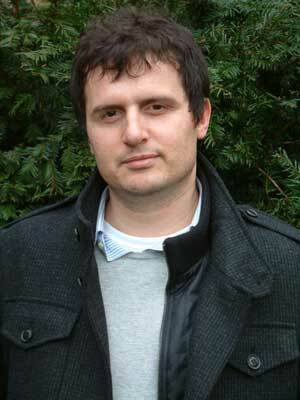 Dritan has a degree in Cognitive Science from the University of Westminster, and is near to completing his doctoral degree in neurophysiology at the University of Gloucestershire, in collaboration with the UK’s Ministry of Defense. His work focuses on the etiology of emotions, with particular reference to the interaction between dynamic aspects of emotions and variations in time perception. By searching for the bio-psychological markers of effective and defective decision-making of people in a range of emotional states, Dritan aims to develop practical tools that can be used to reduce dangerous errors from people who work in high-risk environments, such as the military. Dritan is no stranger to our equipment, having used the GES 300 during his PhD studies. He designed, developed, and managed a large number of experiments, based on both Net Station and E-Prime platforms, so he brings a wealth of experience to his new role as European Support Engineer and UK Sales Representative. Please join us in welcoming Dritan to the EGI team. Are you interested in an exciting career with EGI? See our Employment section for current job openings. You can find EGI scientists and staff at the following conferences. Please visit us at our booth. We would love to talk with you about your research.